Cheam-based D.Plumridge Professional Driveway & Patio Construction, has scooped a top award at this years prestigious Brett Approved Installer Awards which took place on Friday 4th February at Luton Hoo Mansion House, Bedfordshire. 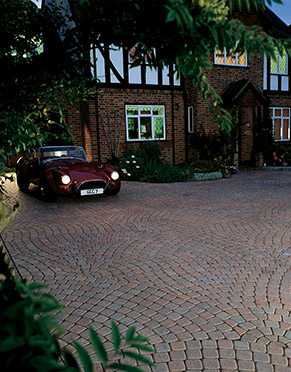 The company picked up the top award in the category of Special Project Award 2010 for its work creating an Aura driveway in the Cheam region. D.Plumridge Professional Driveway & Patio Construction were presented with a Canon PowerShot digital camera for their achievement. On the night, D.Plumridge Professional Driveway & Patio Construction were also runners up in the category of Best Patio 2010. Previously, D.Plumridge Professional Driveway & Patio Construction picked up awards for Best Small Driveway, Best Large Driveway and Best Installer South in 2007. The Installer Awards are organised annually by industry leading paving manufacturer Brett Landscaping, to recognise the highest standards of professionalism in driveway and patio projects across the United Kingdom. The Awards were judged by a panel of external landscape and design experts.